Looking for a Large Dr. Bristol Dee Ring Snaffle Bit which is durable and affordable? You came to the right place. Here at Horse Tack Now we have a nice selection of Dr. Bristol Bits and Dee Ring Snaffle Bits for you to choose from. 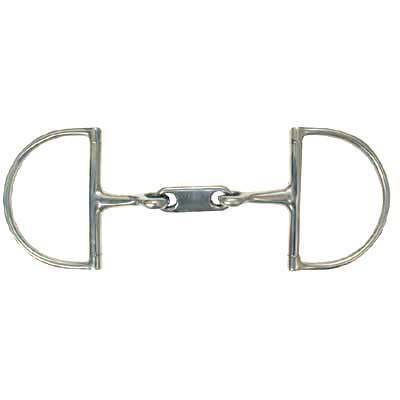 This Large Dr. Bristol Dee Ring Snaffle Bit measures 2 1/2'' rings and 9mm in the mouth. When buying a Dee Ring Snaffle from us you can rest assured that the Horse Dee Ring Snaffle Bit you are purchasing is made to last.